And it's not how you might think! When did the 14th of February become the only day a couple get to treat each other? Right now, you’re probably wanting to celebrate Valentine’s Day abroad or at some expensive hotel. Who knows what it’s going to cost you? It will likely be your only trip for the year. 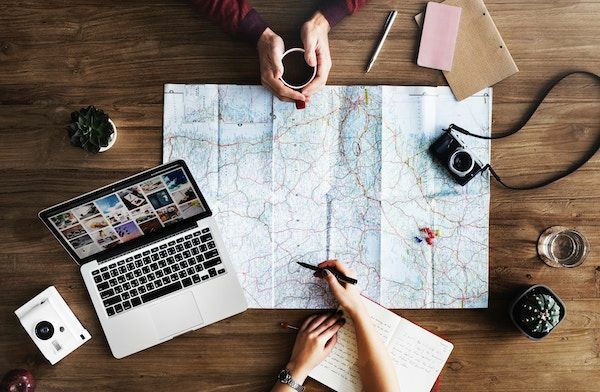 If your #CoupleGoals are to travel more then you really need to read this advice. What if we told you, we’ve got the perfect Valentine’s travel tips that don’t involve you breaking the bank and still let you have an awesome time? That would be perfect, right? Great, let’s start with the most important one. 1. Don’t travel on valentine’s day! Yes, we know this might sound absurd but it’s true! Whilst it might seem like a fairytale to travel away on Valentines Day, the reality is that it’s not the smartest option. The reason is that every couple in the world is thinking the same thing so, therefore, the cost of travel increases! You’re paying for hotels, flights, set-meals in restaurants, chocolates, flowers… the list goes on. February is actually a great month to travel. The weather around Europe starts to warm up. Gone are those frosty days of December and January and you can actually spend the day walking around the city without a huge jacket. 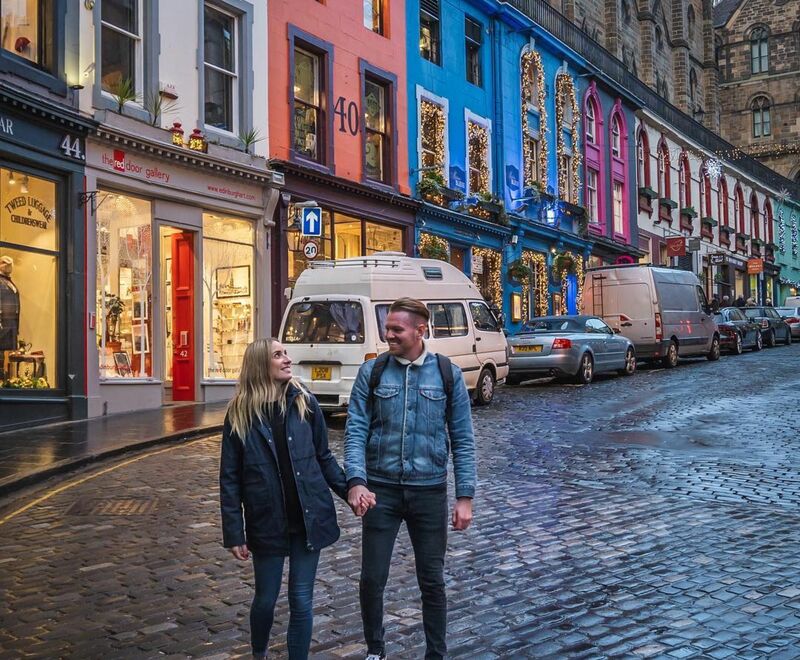 With the same amount you’d pay for a trip on valentine’s day you could book 2, 3 or 4 separate trips throughout the year meaning you’ll get to visit and experience many more places together. Surely, that’s a better option? We think so too! 2. Save on accommodation, spend on experiences! We all know, in today’s world couples celebrating valentine’s day typically look to book a single trip to a fancy hotel. Have you ever considered the affordable option? A hostel. Yes really. A hostel can offer you so much more. In a hotel, you’re left to your own devices whereas, in a hostel, you’re surrounded by local people and seasoned travellers who know the coolest city spots and places to eat. 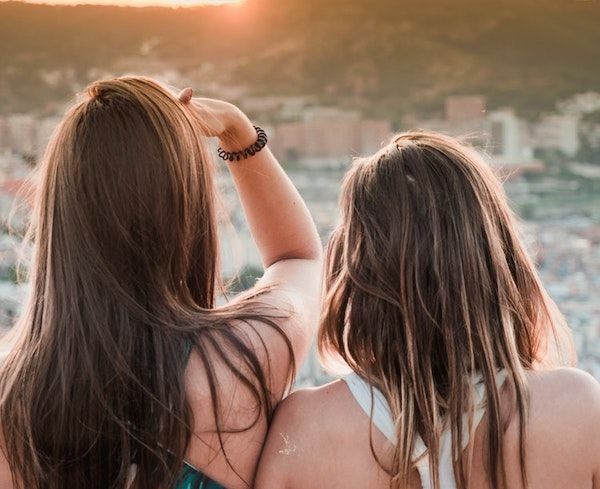 The experience you will have at a hostel is second to none, you’ll be able to meet locals and other travellers and get some inside tips from them of where to go. It’s now cheaper than ever to book your travel and jet off, to check off your bucket list. Airline tickets at this time cost near nothing, making it that much easier to get away throughout the year. 3. Focus on unique experiences! Hostels really do give you a unique experience! 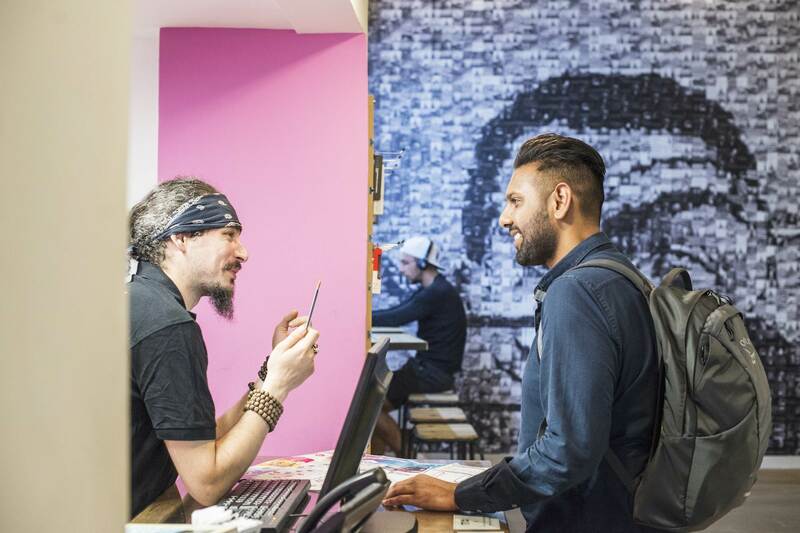 In hostels, all the staff are locals so you don’t have to worry about deciding what to do! You only need to head over to reception and staff will be able to give you all the best places to visit as well as all the secret places that only a local would know. They also know all the best tours to join. Hostels always have free walking tours and bar crawls. It’s clear you won’t have to worry about having a good time. Hostels also host a lot of their own events like music concerts or dinners! It’s always a great atmosphere as you’ll be able to meet others who love to travel! You’ll be able to exchange travel tips and get ideas on more places to visit or even other cities to see! Don’t be cliche! Paris might be the city of love, but there are many other cities around the world that will give you an equal and unforgettable experience! Edinburgh is truly a magical place. Visiting will feel like you’ve travelled back in time! There are many pretty spots where you can enjoy a relaxed time with your partner. Princess Street Gardens is a beautiful stretch of greenery which is perfect for a romantic picnic and a few drinks. These gardens are only a 10-minute walk away from our Edinburgh location. If you love views of the city then Edinburgh has all the best spots to grab some views! We recommend strolling up either Calton Hill or Arthur’s Seat. Check out the view below! London is the place to be for couples! There are so many things to do and a weekend here simply is not enough. Firstly, there are so many cool rooftop bars for the best views of London whilst sipping on a cocktail. You’ll want to see all the popular landmarks such as The Shard, The London Eye, Tower Bridge and Big Ben just to name a few. London is also home to some of the best parks that lead to main tourist spots like St. James’ Park ending at Bucking Palace. We are actually located in a park too, called Holland Park! You’ll be able to cure that hangover (if you have one) of those cocktails and enjoy the beautiful nature! It’s also a good idea to take buy some food and enjoy a nice mini picnic while you’re there. Lisbon is an old romantic at heart and there are many things to do for couples. If you love sights you’ll want to visit some of the city’s architectural masterpieces! Head to The Pena Palace or the Tour de Belem and you won’t stop taking pictures of the place. Read The Ultimate Lisbon Local Travel Guide to find out more places you have to see! They say the way to someone’s heart is through the stomach. Well, in Lisbon you’ll have a straight road to the heart! All the markets here are full of amazing food. You could easily spend all day trying everything. We have 5 Lisbon dishes you have to try! Also, make sure you try the pastries such as the Pastel de Nata. Lisbon is also full of street graffiti which adds some serious colour to the city, every corner you turn. You could spend hours strolling the streets hand in hand discovering Lisbon’s hidden artists. The greatest thing is that we’ve got locations in all of the cities above! So, start your adventure with us right now! Book your stay with us. There you have it, 4 key tips on how to spend Valentine’s Day differently! Tag us in your next travel adventure using our hashtag #SafestayHostel! Can you think of any other tips? Let us know!